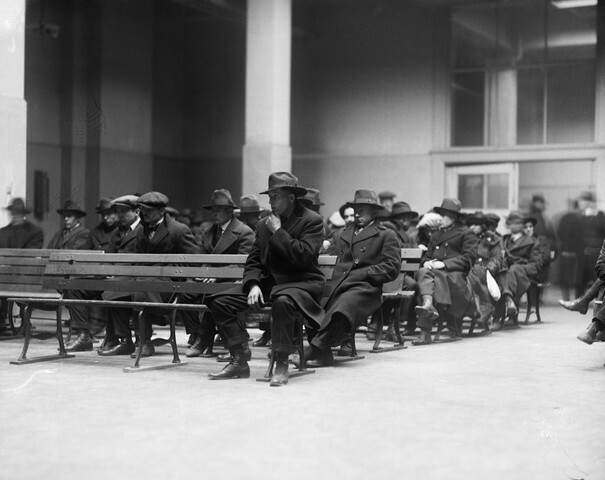 Description: Original caption: 1/3/1920-New York, NY: Photo shows anarchists, reds, and radicals who were rounded up in NYC in last nights raids, arriving at Ellis Island. These undesirables will remain at Ellis Island until investigation and deportation proceedings have been completed. Many arrested in Newark and other nearby cities arrived at the Island during the afternoon.